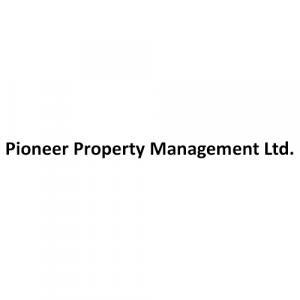 Pioneer Country Roads in Bauria, Howrah by Pioneer Property Management Ltd.
1000.00 sqft. - 3625.00 sqft. Pioneer Country Roads is a residential project developed by Pioneer Property Management Ltd. at Bauria in Howrah. The project aims to offer a comfortable living condition to the residents by encompassing , adding to its existing many facilities. Flanked by Hooghly River, Bauria is an upcoming locality of Howrah, West Bengal. The area is well-connected to Bauria Station Road thus making commuting easy for its residents. The Netaji Subhash Chandra Bose International Airport lies at a brief driving distance from here and connects the area with other major national and international places of importance. The area is also easily accessible via the Nangi, Akra and Bauria Railway Station which further helps in easy daily commute for the residents of this place. The famous Jadavpur University also exists near by, thereby making it a preferred locality among the students. Owing to its peaceful environment, good connectivity and presence of all the basic establishments like educational institutes, banks, hotels, shopping centers etc, Bauria is attracting a number of residents, investors and Real Estate Developers. Pioneer Property Management Ltd. is a well-known name in the real estate industry that has created world-class projects. Their experience in program management, construction management and resource management can be of value to all types of clients needing construction services. They approach each project with professionalism and personal attention that has established a unique place for them in the industry. Rich experience, commitment to quality and meeting expectations have been the key elements that make Pioneer Property Management Ltd. a reliable and trustworthy entity. More Projects by Pioneer Property Management Ltd.